Many companies and firms now a days offer Search Engine Optimization service, otherwise known as SEO. 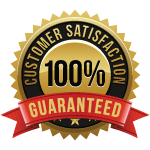 We stand out from them because of our effective service combined with competitive pricing. We only charge for the hours we spent on your site. Our on-site SEO service begins from the bottom by integrating SEO options inside the first layer of framework of CMS or Content Management System. We also do effective and legit off-site SEO. We also remain updated about the state of the art changes which search engine giant like Google have been making constantly so that our SEO service remains the most effective and save your site from being punished by search engines. We work with clients across the globe. Our clients rank #1 in Google for their desired keywords and we can try make yours as well. Many people frequently ask us about various aspect of SEO. So to help you get a clearer idea about what it involves, we have prepared a Frequently Asked Question section to answer most of your queries. If you still find gap in what you want to know and what is described here, please feel free to contact us directly via the contact page. Some one has recommended introducing SEO in our company site, and we have also heard about Google Analytics. I am not at all an expert in this kind of things, so could you explain a little what are SEO and Google Analytics for? Search Engine Optimization is known in the tech industry as SEO. This is the mechanism through which a site is being made visible on search engine. 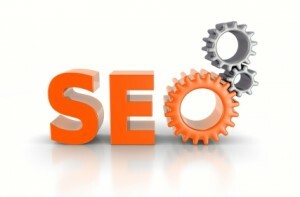 The goal of SEO is to make a site’s search engine ranking as high as possible. Search engine ranking refers to the order of the search results returned when searched by any keyword in a Search Engine. Any business / website ideally would like to rank as #1 in a search engine for it’s niche / focus keyword. Google Analytics is a industry standard analysis tool by Google which is free to use and offer great insight and intelligence about various search engine performance of the site. When a site has Google Analytics (GA) operational in it, over the time GA collects data such as number of visitors, where and by which keywords they visit the site, average time spent on site, which page is most popular, clicks etc. various data can be seen and used to better the site. Now a days GA has become essential for a website to understand its visitor behavior and ideas how to improve search engine performance. Why a site or any site would require SEO? A lot of businesses now-a-days market, attract and sell through the internet. For them traffic from internet means business and to get that traffic, their website, service description and product they sell must have visibility on the search engine. Imagine if you opened a business on a deserted town where there are no customer and no one really knows about your business, what product it sells – it is same as if you have a business website and no one can find it when they search with the name of your product and service offering. This is equally true for a website of an artist, for anyone who wishes that what he, she has to offer, people should be able to find through search engine. Lets say you have a business that sells a particular product online, but when people search for it and your website doesn’t show up in search result relatively high on the page, then its very likely that no new visitor you will get from online. This is why SEO is important which combines a number of factors to ensure that your site is visible on search engine results. With good Search Engine Optimization, a site can rank quite high for all the relevant keywords through which people may look for a product / service it may offer. We have experience of making certain sites #1 for the target keywords and there is no reason why you can’t be within first three place on Google or Yahoo or Bing. What effort and cost would we need to invest to put this in our web? Every business, its target audience, clients and marketing is unique. That is why it needs unique solution when it comes to what kind of effort is needed towards SEO. 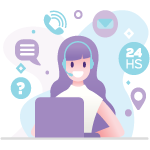 We need to know about your business (or your personal work), what are the likely keywords that your client may look for, who are your competitors etc., who are your likely clients / customer base to chart out a strategy and give you a service + cost model. SEO help is just a click away! Please contact us to get a free analysis.